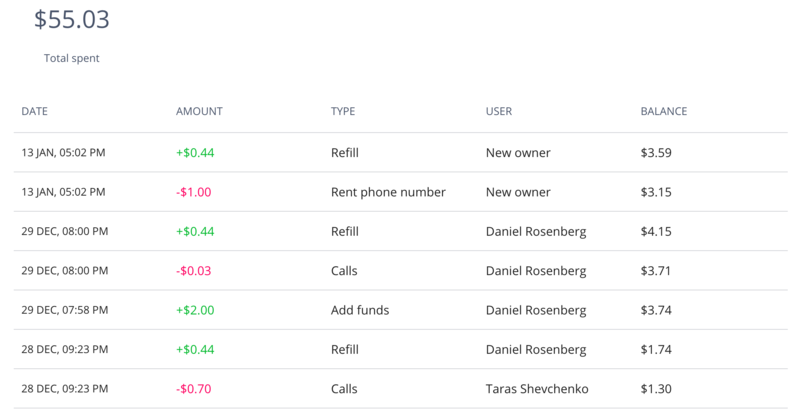 This article describes the Plans & Billing tab of the Settings page. The tab contains all the information related to payments. This section shows your current subscription plan. Each plan offers contacting a certain number of unique contacts each month. You can see how many contacts you can still reach this month in accordance with your current subscription plan. Please note, that your previous month's unused unique contacts amount won't be transferred to your next month quota. You can also create a team and pay for other Reply account(s) in your team. To change your current subscription plan, click the Upgrade button. You can pay for subscription on a monthly or yearly basis. 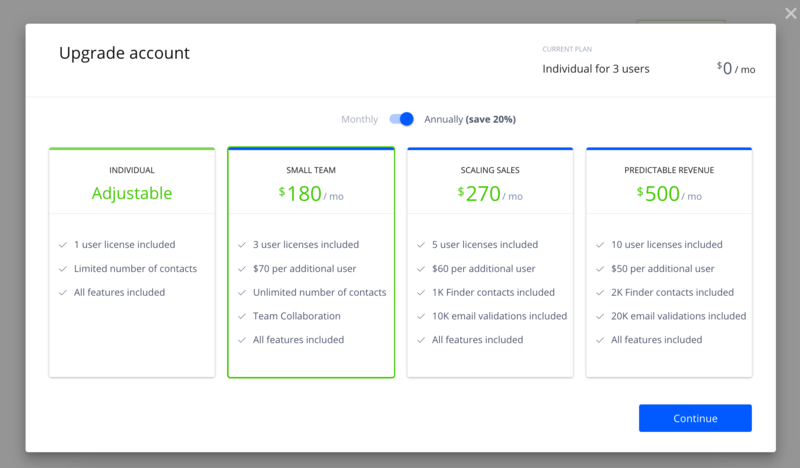 The SCALING SALES and PREDICTABLE REVENUE plans include credits for the Email Validation service. In your invoices you see the business subscriptions as Business Tier 1, Business Tier 2 and Business Tier 3. Note: you cannot downgrade your account from a business subscription to an individual. Use Wallet to pay for Direct Calls. You can set up automatic refilling of your Wallet when balance gets lower a certain amount of money. To do this, switch the Automatically re-fill slider. When you click Add funds, the amount added will be charged from your bank card. The Email validation section lets you purchase email validations for your account. For more information about the service, see the Using the Email Validation Service article. This section contains payment information related to Direct Calls.